Small bookstores sprouting. June. 13, 2018 07:15. teller@donga.com. Hwang Boo-nong, the owner of bookstore Ehoo Books in Sinchon, talked about difficulties in running a bookstore and self-doubts coming from it in his recently published book “I’d be lucky if I don’t starve.” On some days, he gets no customer at all, and sometimes customers cannot find the book they want in his bookstore because it is small. Small bookstores with unique themes — Book & Beer (drinking beer as reading a book), Book Prescription (book recommendation after listening to people’s worries, and Bookstay (staying a night at a bookstore) — are becoming a trend. Local governments are competitively supporting bookstore starters. The book distribution system in Korea is one of the problems that bookstores face. Small bookstores have low margins due to an opaque distribution system. Unsold books become a burden laid on owners. 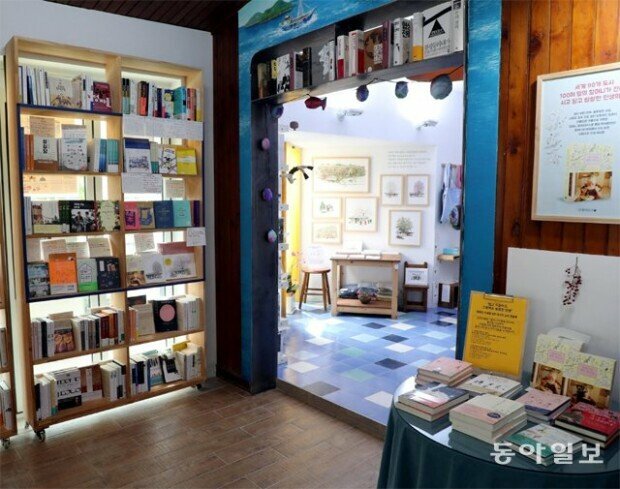 “Two or three bookstores open in a week these days, but running a bookstore is never easy because its success depends on the number of floating population, quantity of books and the area it is in,” said Nam Chang-woo, the owner of Funny Plan. “They need to understand that selling books is not enough, and proactively find ways to sustain their business through unique themes such as book stay or lectures.